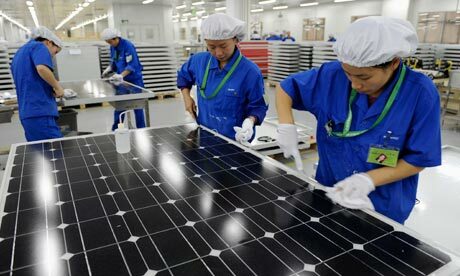 President Trump wants protectionist measures against Chinese solar power. That’s going to hurt U.S. firms. On Friday, the U.S. International Trade Commission, a federal body, ruled that U.S. solar manufacturers are being injured by solar product imports. This gives the Trump administration an opportunity to increase duties on imported solar equipment, which would raise the costs of solar energy for companies and households in the United States. The decision to grant relief to domestic manufacturers will hamper climate mitigation. It also ignores the fact that many U.S. firms benefit from participating in global supply chains that govern the production of solar panels. The U.S. government — like other governments — is making trade policy on the basis of outdated assumptions about how products are made. Read more and comment here.